Welcome to the Spring Edition of Tandem Talk. Here’s a bit of a run-down on what’s been going on in the world of WATCAC over the past few months. I say Rec Ride, and that is what they could have been, but both were attended by our riders who like to go a bit further and a bit faster. On the September and October rides, 4 tandems and 3 single bikes completed a relatively speedy 45km loop from VisAbility back to The Kettle for coffee. I recommend their Chai Spiced Fruit Toast. Our next Rec Ride is scheduled for Sunday 19th November, to coincide with the AGM. Check your email or Facebook for details. Anthony and Roland looked after our riders in September so well that I have no idea of who was there or where they went. In the absence of any rumours or tall-stories, I can only assume that the rides went smoothly and without incident. Trevor took on the mantle of ride leader for the first Sunday in October and dug through the archives for a route up into the Kalamunda foot-hills. 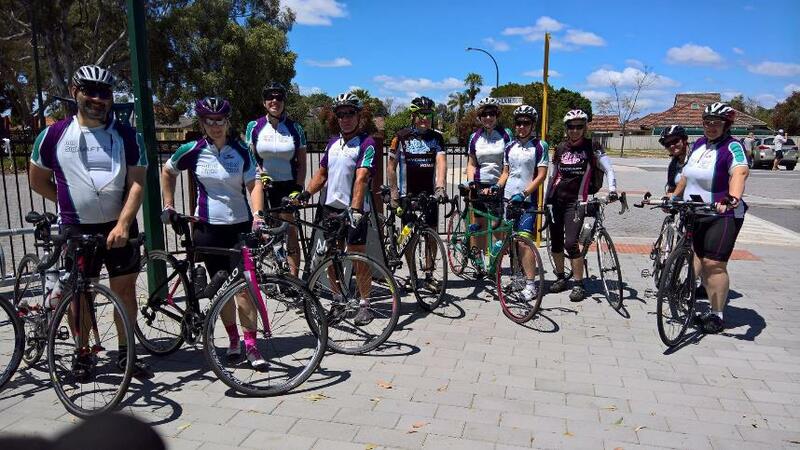 In the second October ride the WATCAC peloton rode 60km around the river to Fremantle and back. 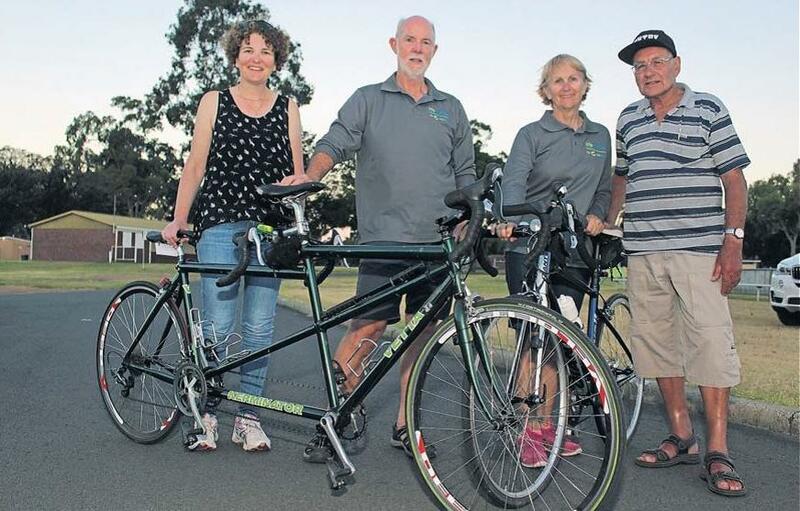 Jean and Jerry, newbies to tandem riding, joined us on the Fremantle to Vic Park part of the journey and hopefully will be along again. As part of the preparation for the 2018 LifeCycle Off-Road, Roland is planning regular rides out on the trails around Perth on the second Saturday and last Sunday of the month. If you are interested in having a go on the Mountain Bikes have a chat to Roland or one of the committee members. On the first weekend of October 5 WATCAC members took their mountain bikes and joined the LifeCycle for CanTeen Off-Road ride. Anthony, Haylee, Paul, Roland and myself, with around 40 others, spent 3 days cycling the Munda Biddi trail from Pemberton to the Tree Top Walk in Walpole. We covered 200km with over 1000m of ascent through sand, mud, clay, gravel and water. It was an amazing few days in (and I may be a bit biased here) the best part of the world. 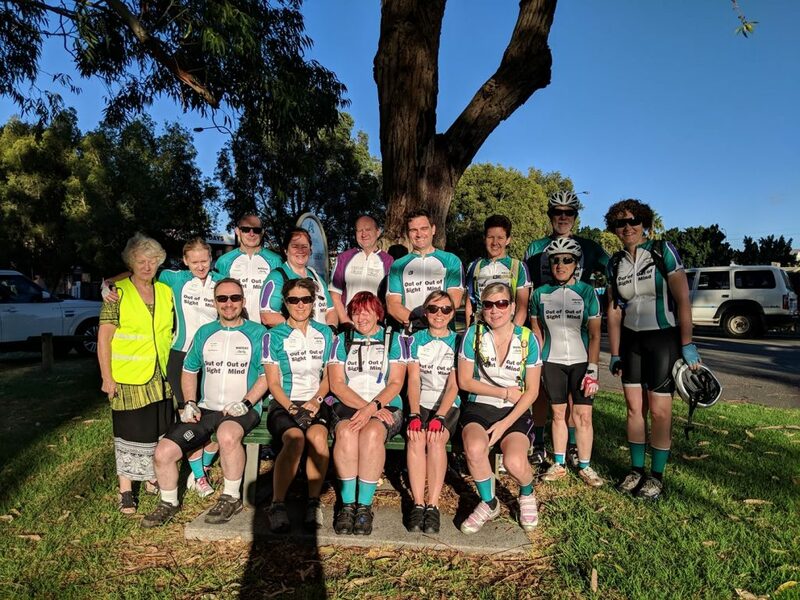 The event was the 6th Off-Road weekend for LifeCycle and the entire affair was well organised with transport, food and water and facilities on the trail and at the end of the day. Unfortunately, some of the Munda Biddi in this region would be extremely difficult to take a tandem through, but we arrived back home inspired to find more trails and tandem friendly tracks. Before there was the LifeCycle Off-Road event, there was the LifeCycle On-Road weekend. And Jenny had us signed up to the 18th edition before the off-roaders had even got off the bus in Pemberton. How: About 110km per day (can be more, or less, depending on what group you ride in), fully supported and staying overnight in local recreation centres. How Much: No more than $275 for all accommodation, transport and food. Minimum fundraising requirement of $200 for CanTeen. WATCAC has been offered discounted registration, and will also be subsidising registrations. Please talk to a committee member very soon if you want to be part of this event, as a cyclist or volunteer. Last Sunday we ran a clinic for our existing riders to help them increase their comfort, skills and endurance on the bike. Here are a few of the points covered. If you are going to spend more than an hour or so on the bike you need to be comfortable. This means looking like a “serious cyclist” as it turns out that a lot of that extra gear isn’t just a show of pretentiousness. It actually serves a purpose. Just as you wouldn’t wear your gardening gear to the pool or your swimming gear to yoga (ewww), you are best off wearing your cycling gear when on a bike. Most important are the points of contact between you and the bike; your hands, bum and feet. Gloves serve several functions; they help absorb the vibration from the road, they protect your hands from gravel rash should you come off the bike, and they keep the sun off the backs of your hands. Knicks (or cycling shorts) with a good chamois (padding), are essential if you are going to ride frequently or far. If you feel self-conscious you can find underwear style knicks, that will fit under your shorts. Finding a chamois that is right for you is a case of trial and error, but the more panels in the knicks the better the fit will be. You may also want to invest in chamois cream, especially if you are planning on riding a couple of days in a row. Cycling shoes aren’t designed to make you look like a tap-dancing duck, that’s just an added bonus. They are designed to help deliver all the power from your legs, through the pedals, to your bike. The sole of a cycling shoe is a lot, lot stiffer than your normal gym shoes. The laces are also safely tucked away, or done away with altogether. And if you are riding clipped in, you get to pull the pedal up, as well as push it down – making your pedalling stroke twice as efficient. Just as important, you don’t have to worry about your feet coming off the pedals. Our V.I. stokers have commented that they can “feel” the bike much better, and aren’t surprised by gear changes when riding clipped in. Eating and drinking for cycling can make a big difference to how you feel on the bike. Based on my data, one hour of a club ride will burn over 500 Cal; that’s a third of what I burn in a day without exercise. Your numbers may be different, but the ratio will be about the same. Fail to replace that energy and you will “bonk”, or hit the wall, or just find the rest of the ride difficult and unpleasant. It is important to eat before you go on a ride, and to snack every hour. There are lots of products out there specifically designed to be small and light and to go in the back pocket of your jersey, but bananas, jam sandwiches, muesli bars and good old jelly beans also work. Hydration is just as important, if not more so. You will sweat on the bike. But due to the evaporation caused by the wind passing over you, you may not realise just how much fluid you are losing. Aim to drink one bottle (700ml) of water for every hour on the bike. If you are carrying two bottles, put hydrolytes in one – Gatorade or Staminade powder is a good option as you should also be replacing the salts you are losing. If grabbing for your bottle while riding isn’t your thing, have a look at investing in a camel-back. If you have any questions about how to make cycling more enjoyable, please ask. There is a wealth of experience in WATCAC and we can all learn from one another. Planning for our new jerseys is well underway. With a bit of luck, we will have samples for you to try at the AGM. Your feedback, before we go into manufacture, would be greatly appreciated. ​​The WATCAC AGM is scheduled for Sunday 19th November 2017​ at ​Rayment Reserve, 17 Lathlain Place, Lathlain (opposite the Kettle Café). 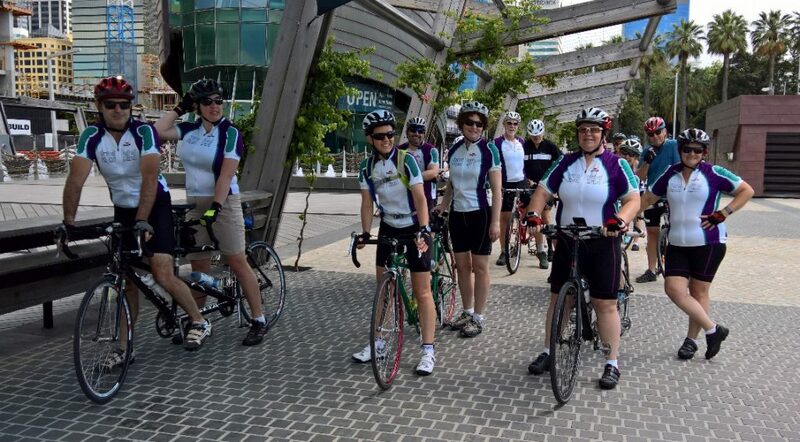 We’ll be heading off for a 25km ride at 8:30 am followed by the AGM at 10:30 am. You’ll be pleased to know that most of the committee positions have been filled, so there won’t be that awkward silence when we ask who wants to be treasurer or secretary. Don’t let that stop you from putting your hand up if you want to be involved. 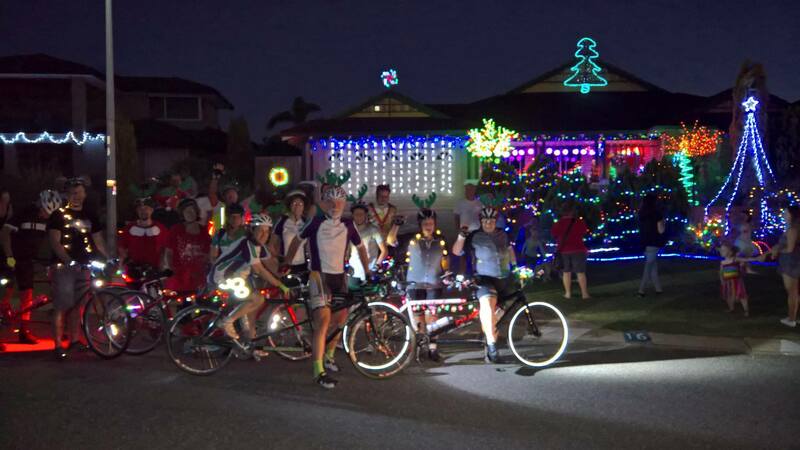 Following the success of our night ride last year, we will once again wrap up the year with a Christmas Night Ride. I know it’s a busy time of year but keep the evening of Friday 8th December free. Details are still being finessed (check Facebook and your email for updates) but we will be riding along the coast from Hillarys as the sun sets, around 7:15pm. Dust off the bike lights and decorations and your best festive attire for an evening of Christmas lights, fun and fellowship. 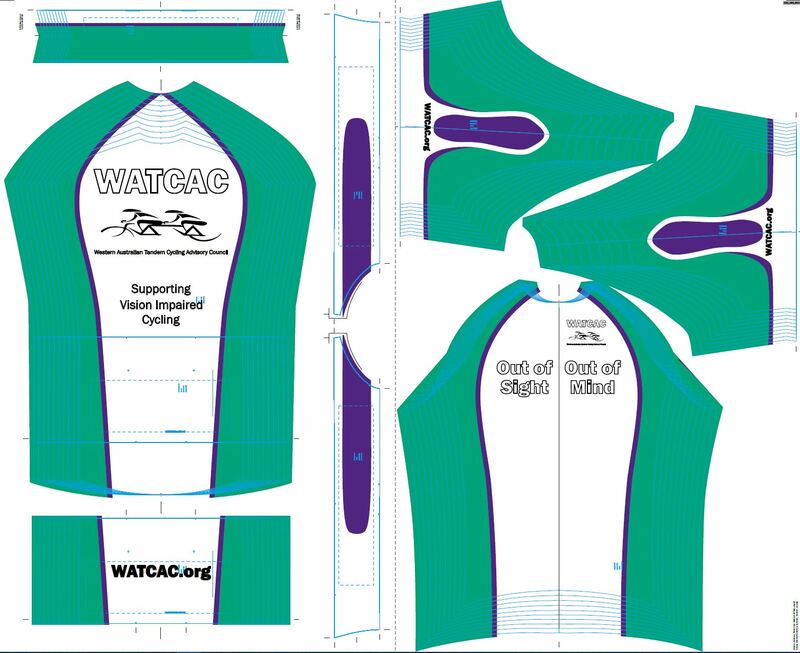 WATCAC now has its very own Facebook page, which can be found here. Please “like” and “follow” us.